The tablet and e-reader application processor is used in the various consumer electronics product which includes tablets and smartphones in order to run the operating system. These software are mainly used for the coding and decoding of the multimedia and it also includes the graphic processing of the media. The application software is primarily responsible for the processing occurring in the mobile applications. Currently the global tablet and e-reader application software market is observing vibrant growth on the account of booming consumer electronics industry worldwide coupled with the increasing per capita income of the population. This increases the spending on the electronics items and is anticipated to boost the growth of the overall market during the forecast period. “In 2017, Qualcomm and Microsoft announce the plans to launch the integration of the Snapdragon and Windows 10 in the laptops. The increasing demand for the electronics items which includes smartphones on the account of the rising disposable income of the population is anticipated to be the major reason driving the growth of the tablet and e-reader application processor market. 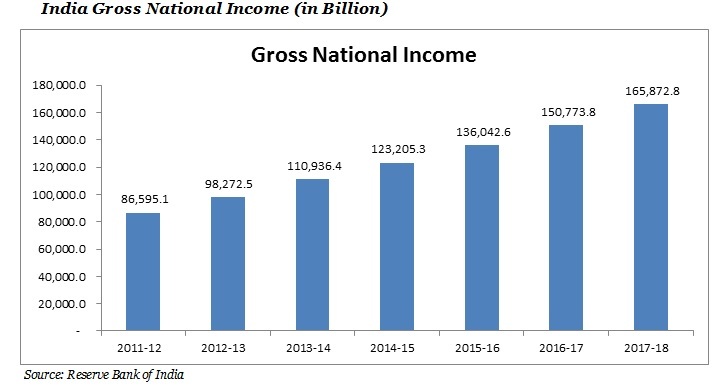 For instance, according to U.S. Census Bureau the median household income of the population of the U.S in 2017 is USD 61,372.This is an increase of the 1.73% from 2016. 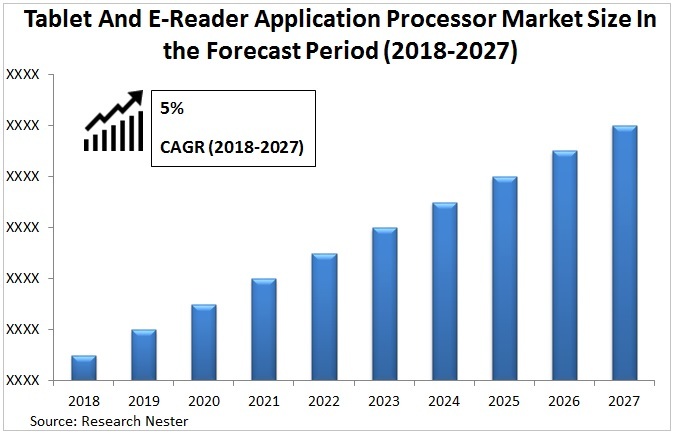 The increasing technological development in the application software is anticipated to be the major reason for the growth of the overall tablet and e-reader application processor market during the forecast period. For instance, in December 2018, Qualcomm has developed the Snapdragon 855 mobile system on a chip (SOC) which enhances the operating system. The availability of the low cost substitute products in the market is anticipated to challenge the market growth of the tablet and e-reader application processor. On the basis of regional analysis, global tablet and e-reader application processor market is segmented into five major regions including North America, Europe, Asia Pacific, Latin America and Middle East & Africa region. Asia-Pacific is anticipated to hold the largest market share for the global tablet and e-reader application processor market during the forecast period. The increasing adoption of the application software in the consumer electronics is anticipated to support the market growth of the overall tablet and e-reader application processor market during the forecast period. North America is anticipated to be the second largest region for the overall market. The highly developed IT industry in the region leads to the increase in the demand for the various electronics gadgets. Additionally, high disposable income of the population in the region is also major reason for the growth of the tablet and e-reader application processor market in the region during the forecast period.